I live in an old house in the country. Living in an old house is great and all, but it means there is always a ton of work that needs to be done. That’s why each weekend finds me with at least one DIY project to tackle. Most are small projects that only take one or two tools. They don’t take any special skill and can be done by almost anyone that can use a screwdriver. That’s why I thought I’d share my weekly DIY home projects with you guys. This weekend I replaced a couple of electrical outlets in my house. They were getting loose and plugs were prone to slip and fall out during use. Replacing them was a simple fix that didn’t take longer than 15 minutes. 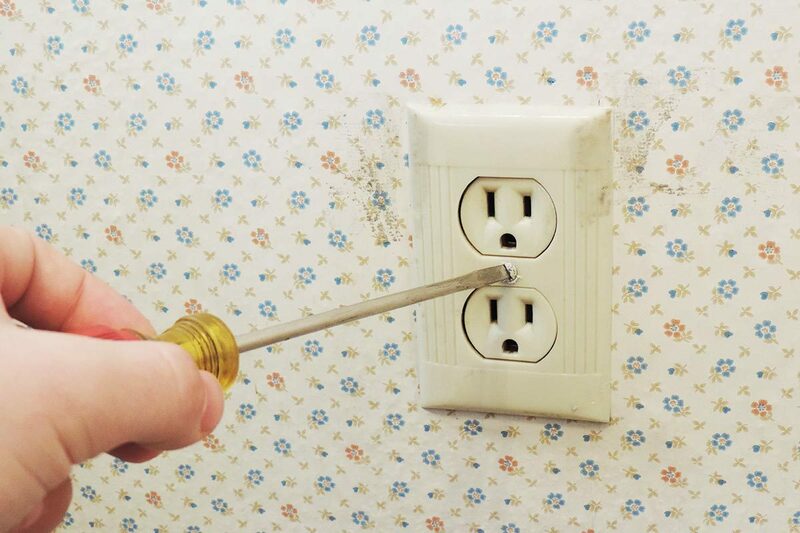 Keep reading below to find out how to replace an electrical outlet the easy way! If your electrical outlet is damaged or blown out (or if you’re uncomfortable around electricity), you might consider hiring a professional electrician to come in and take a look. 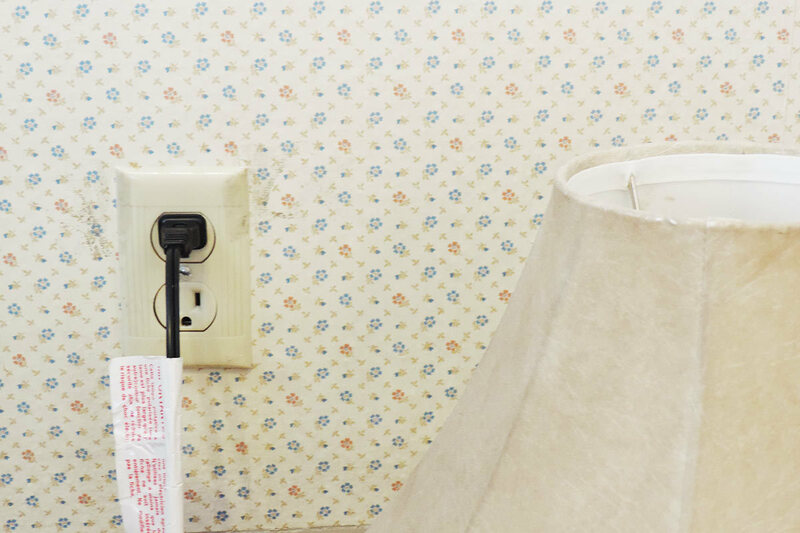 Replacing an electrical outlet at home is an easy DIY project. It takes 15 minutes or less per outlet. All that you really need is a screwdriver (my outlets use a flathead) and a new electrical outlet (about $2.50 to $10 each). A little masking tape, a plugin lamp, and a smartphone with a camera make the job even easier. The easiest way to find the right electrical outlet replacement is to bring your old one into a home improvement store. This way you can find the exact same one to replace yours with. I already knew the type I needed so I bought mine ahead of time. I used standard Pass & Seymour brand 15-Amp wall outlets. Most wall outlets are 15-Amp but some are 20-Amp. It is also worth noting that you need to buy a different type of outlet – usually a GFCI outlet – for outlets near water sources, such as those in bathrooms and the kitchen. None of the outlets I replaced for this DIY project were GFCI. The most important thing to do to replace an electrical outlet is to shut off the power to the circuit you are working on before doing anything else. My circuit breaker service panel (also known as a fuse box) is already labeled with what parts of the house each breaker is linked to. If yours isn’t, this step can be a little bit difficult. 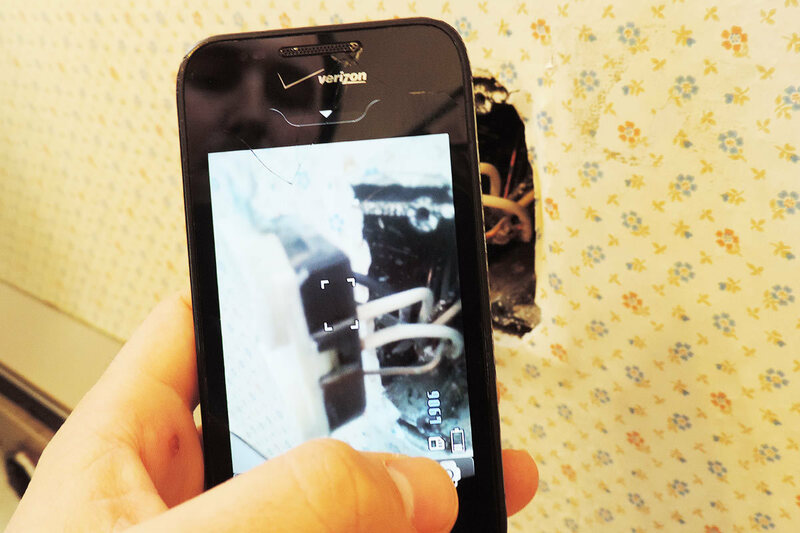 A handy trick is to plug a radio into the outlet you are planning to replace. Keep the volume on loud enough to hear when you are standing in front of your circuit breaker panel. 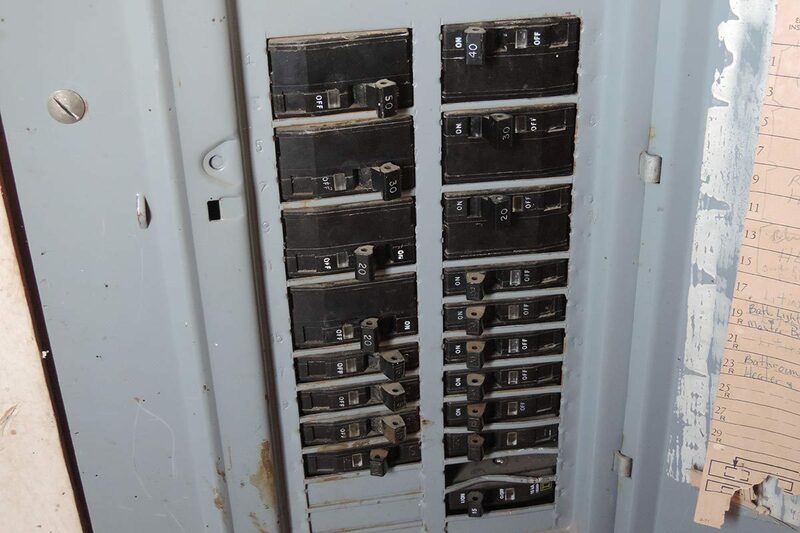 Flip each breaker switch until you hear the radio go out. The switch that causes the radio to go out is the one that controls the electrical outlet you’ll be working on. Keep it in the off position. This might also be a good time to determine whether you need to replace your breaker panel. You can also turn off the main breaker if you are having trouble locating the correct breaker switch. Though this turns off the power to your entire house, it is better safe than sorry. You can never be too safe when working with electricity. It is essential to test the outlet to make sure that no circuit is running before starting work. A voltage tester is perhaps the easiest way to do this. You stick the end of it into both slots on each outlet. If it lights up or beeps (this varies by model), then the circuit is still live. You switched the wrong breaker off and need to go back and switch the right one. If it does not light up or beep, you successfully turned the circuit off. An additional safety tip is to first test your voltage tester on a circuit that you know is live so you are sure that the voltage tester is in good working order. Unfortunately, I couldn’t find my circuit tester in the clutter that is my garage. So I used the old fashioned method of testing a circuit. I plugged a lamp (one that I knew was in good working order) into the outlet I was planning to replace. It didn’t light up so I knew the circuit was off. You can also use your radio in this way if you used it to locate the correct circuit breaker switch. The next step to replace an electrical outlet is to remove the face plate or switch cover. Most outlets, mine included, have one screw holding them to the wall (GFCIs have two). Use the correct type of screwdriver - I used a flathead - to remove the screw and take the face plate off the outlet. Most electrical outlets have two screws holding the outlet to the wall or electrical box. Remove these two screws and gently pull the outlet away from the wall. At this point, I like to test my outlets with my lamp another time to ensure they aren’t live. You can never check too many times. Not all the wires connected to your electrical outlet carry current. However, it’s always a safe idea to assume that they do. A little basic knowledge about wire colors goes a long ways. Black wires are live and carry the electrical current. They are usually hooked to your electrical outlet by a gold or brass colored screw. White wires are neutral. They are usually hooked to your electrical outlet by a silver colored screw. 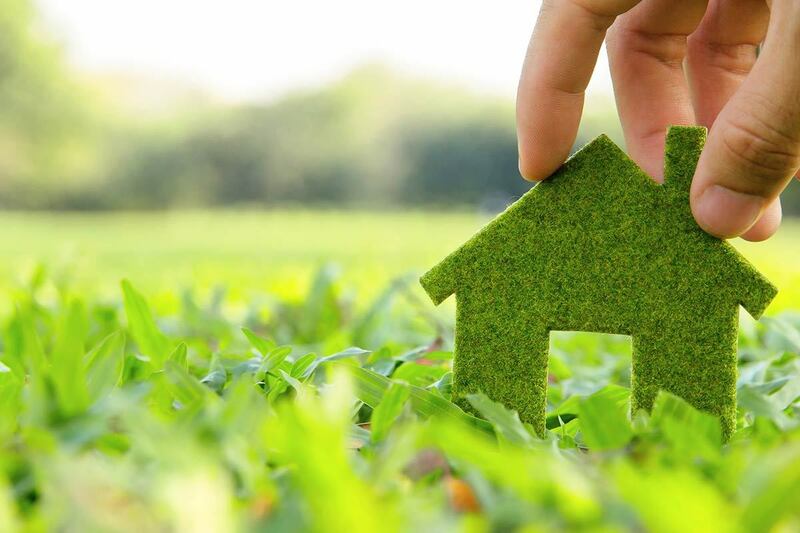 Green wires (or bare wires) are usually hooked to your electrical outlet by a green screw. Perhaps the trickiest part of replacing an electrical outlet is remembering where the wires go. That’s why I always take a picture or two with my smartphone camera just in case. It seems like it should be easy to remember – especially on a five-wire configuration (two black, two white, one bare) – but it’s not. I know other people that will make a quick sketch or label the wires with masking tape instead of taking a picture. Detach the wires by gently pulling them out of the electrical outlet. Most new outlets have screws that hold the wires in. You simply unscrew these and slide the wires out. 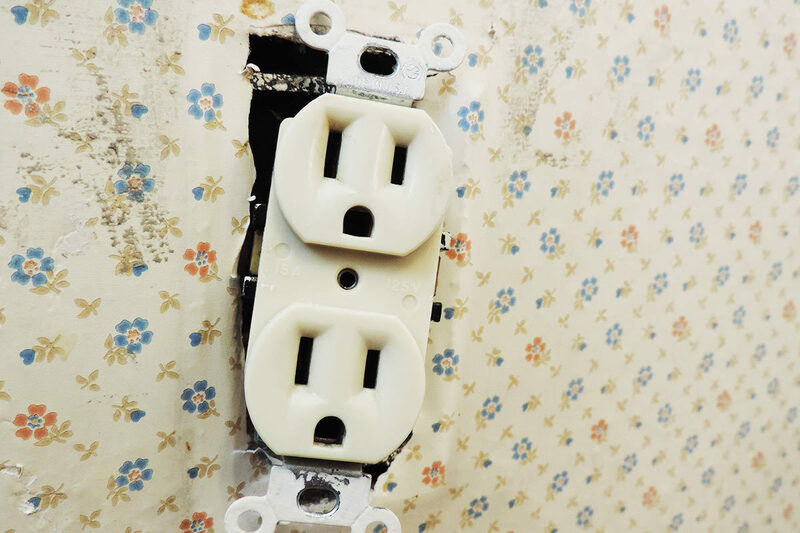 There are two different methods that can be used to reattach the wires to your new electrical outlet. The first method is to push them into the spring-loaded grips on the back of the outlet. You don’t want any bare wire showing when the wires are installed. If there is bare wire after the wire is inserted, remove it and trim the wire slightly before trying again. The second, and preferred method, is to screw the wires into the side of your outlet. This is preferred because the screws grip the wires tighter than the spring-loaded grips on the back of your outlet. Trim the bare wire down to 3/8 inches so only the minimum amount of bare wire is touching each screw. 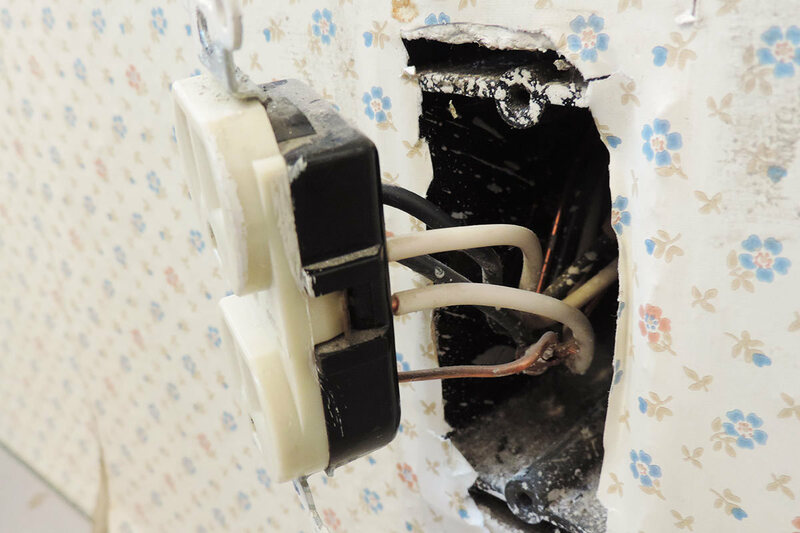 It doesn’t matter the order in which you reattach the wires to your new outlet. But it does matter where you attach them. This is where the picture you took comes into play. Make sure each wire is reattached to the correct screw or grip. 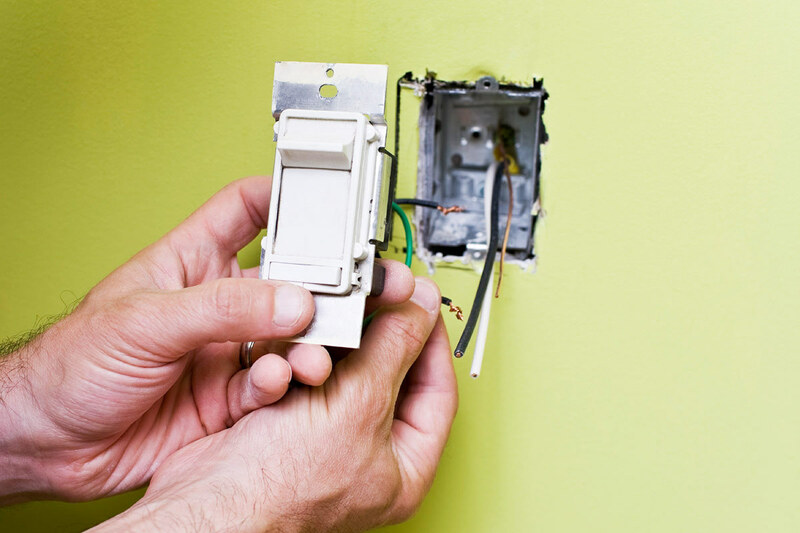 Once you have your new electrical outlet rewired, it is time to screw it back to the wall. I like to vacuum out the inside of the electrical box to get rid of any dust and dirt before doing this. You might also want to inspect the wires for minor frays or nicks. You can tape up any frays or nicks with electrical tape. If the wire is badly damaged, it is wise to trim it back and replace it with a new wire altogether. 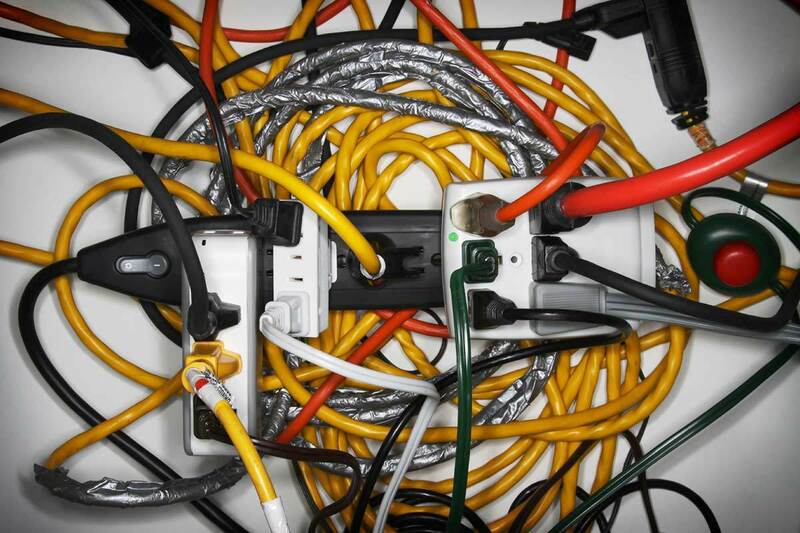 If any of the wiring looks a little too sketchy you may want to get an electrical inspection done! Simply push the outlet gently back into the electrical box and tighten the two screws that hold it to the wall. 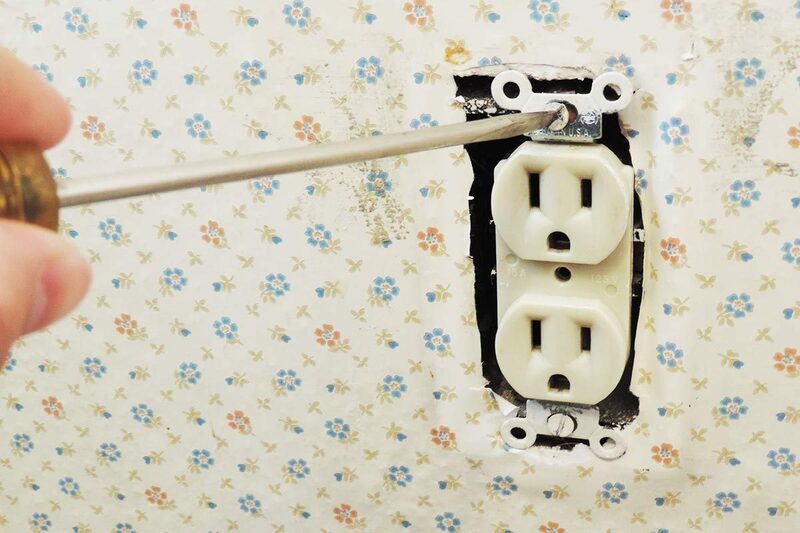 Re-install the face plate by screwing it back onto your new electrical outlet. 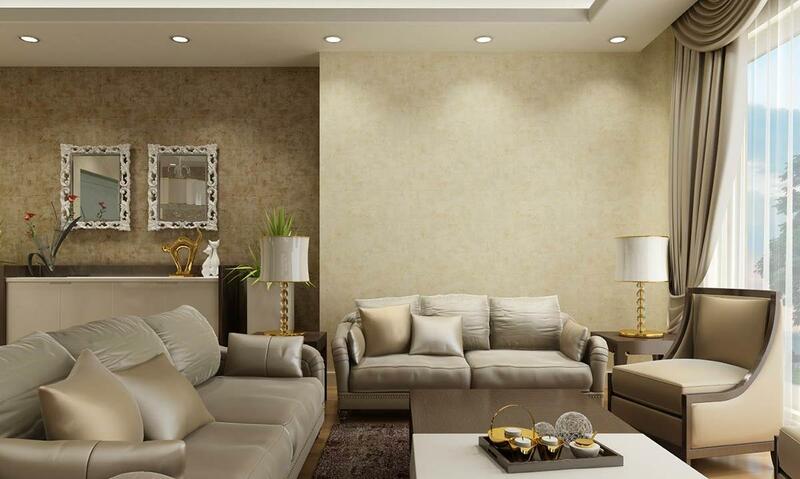 Now that your new electrical outlet is installed, it’s time to make sure that everything is in working order. Head back over to your circuit breaker panel and flip the circuit for your new electrical outlet into the “on” position. Then plug in your lamp/radio or use your voltage tester to make sure the outlet is in working order. 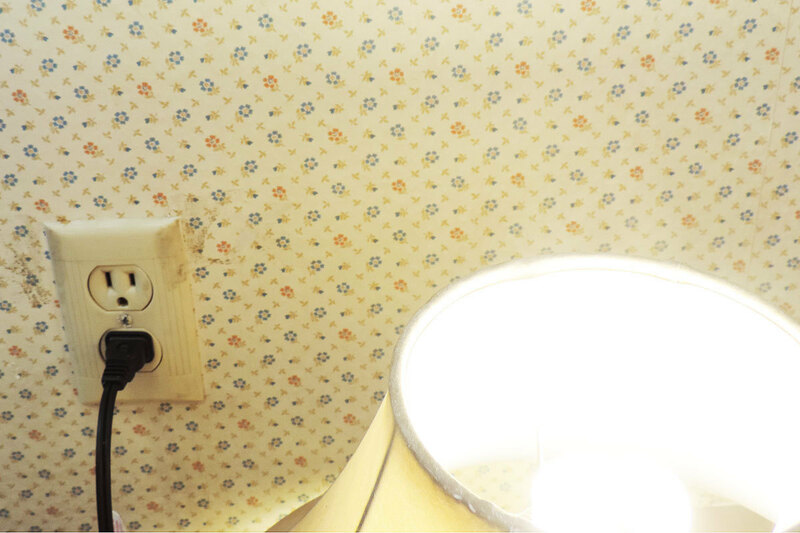 Replacing an electrical outlet is an easy DIY project that most people can do in as little as fifteen minutes. Your best bet is to take your old outlet to the hardware store and have it replaced with the same model. The hardest part of this project is finding the right outlet – after that everything is simple. 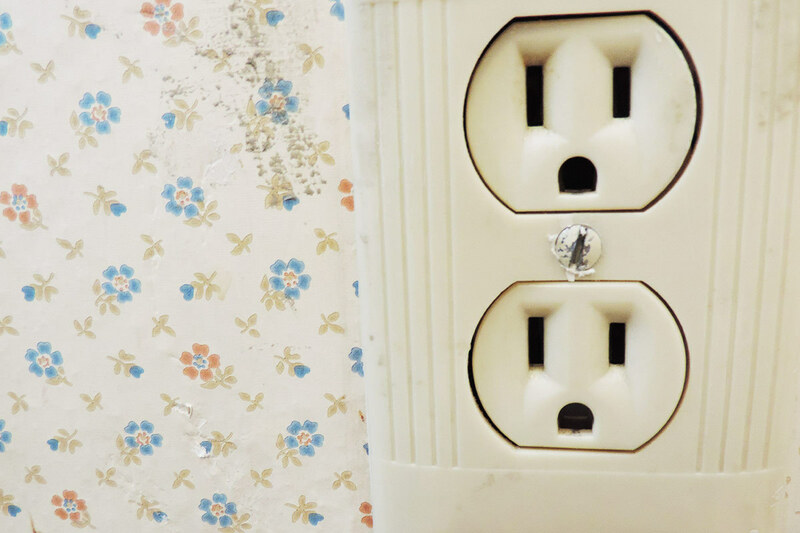 If you do feel uncomfortable replacing your electrical outlet, it is easy to find an electrical contractor to come in and do the job for you. 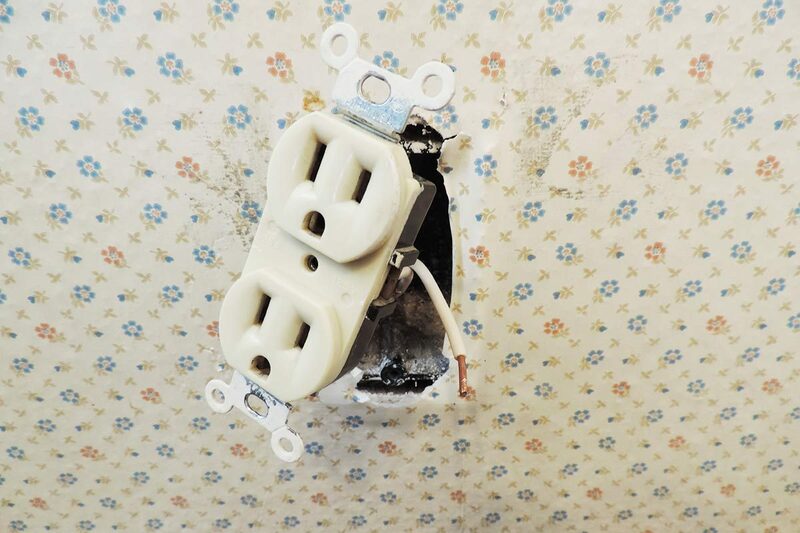 This is also a good idea if the outlet is blown out or damaged beyond simple “slippage.” Working with electricity is always dangerous – even when you know for a fact that the circuit is off – so it is always wise to do so with utmost caution.